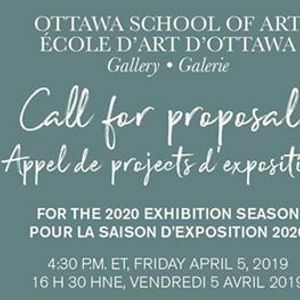 The Ottawa School of Art (OSA) is now accepting proposals of current or proposed work for the 2020 exhibition season for both its ByWard campus gallery and Orléans campus gallery. Artists working in all media are invited to submit a proposal. Group exhibition proposals are also accepted. Proposals can be submitted for consideration at either the ByWard campus gallery or Orléans campus gallery or both campus galleries. Successful candidates shall exhibit at one campus gallery only. An application to both galleries must demonstrate a clear understanding of how the exhibition would work best using the dimensions of either gallery. See also Gallery Floorplan’s (Downtown Gallery) (Orleans Gallery). Type in your e-mail address and the recipient’s e-mail address, add a message, attach the file and send. Note: Proposals submitted by Post, Hand-delivery or E-mail will not be accepted. Note: An image of an artwork and a detail of that same artwork will count as 2 images. Each video counts as 1 image. The total video time per proposal must not exceed 15 minutes. Submit jpg images only, 300dpi, no larger than 2MB each; RGB format maximum of 1240 pixels, (length or width). Submit videos in the following formats only: AVI, FLV, WMV, MOV, MP4, no larger than 500MB each. (For example: 01CB2019lightsoverwater.jpg). Be sure the number “10” precedes the last image. Ensure this list corresponds with the order of the images / videos. Note: External image or video links will not be accepted, (ie. YouTube, Vimo, etc.). Do not put any special characters, symbols, periods, quotations marks, etc., (such as #. “& etc.) in any file name. Do not submit files in any type of software presentation, (ie. Power Point). It is your responsibility to ensure that your material is submitted in a readable format. Poorly organized proposals will not be considered. Proposals not adhering to the above criteria shall be considered incomplete and withdrawn from the selection process without notification. A jury of three art professionals will make its selection based on the quality of the work, the overall integrity of the proposal and its relation to the programs of the OSA. The jury will meet within 4 weeks of the submission deadline. All artists whose proposals have been reviewed by the jury will be notified of the jury’s decision within 2 weeks of the jury meeting. A CARFAC artist’s exhibition fee will be paid to the artist(s). 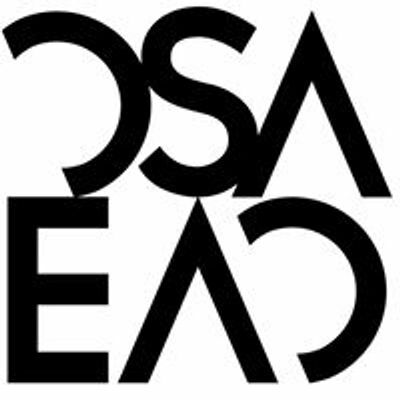 Selected artists will be responsible for shipping and shipping insurance to and from OSA. All special equipment or display materials required for artworks in 3 dimensions, video artworks and / or media artworks that are selected for exhibition must be supplied by the artist(s).